We’re excited to announce Crazy Rooster pastured lamb will be the featured special at Lucia’s Restaurant in the Uptown neighborhood of Minneapolis this Sunday, Dec. 11. The Crazy Rooster Farm lamb will be served in Lamb Stew with Soft Polenta in the restaurant’s Sunday Night Special, part of a weekly changing menu based on the best of the season. This is the first time our lamb has been on the menu at a Twin Cities restaurant, and we couldn’t be happier to start at the top. 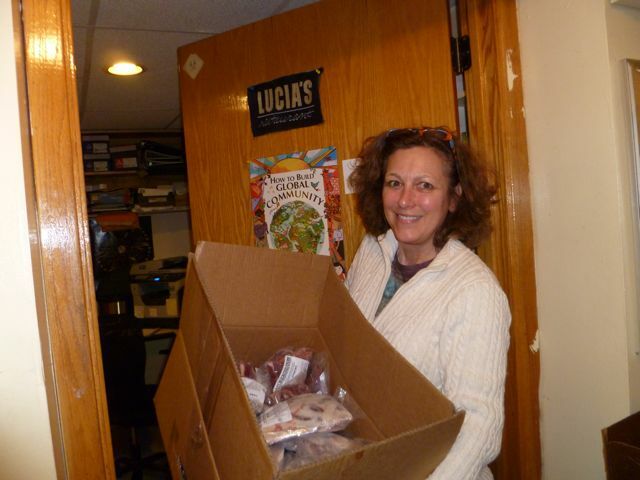 Chef Lori Valenziano called our lamb “delicious!” Stop by at Lucia’s To Go this Sunday and give it a try. Many thanks to Lori and the rest of the staff for testing and tasting and giving us a chance to have it served at one of the best organic restaurants in the Midwest.